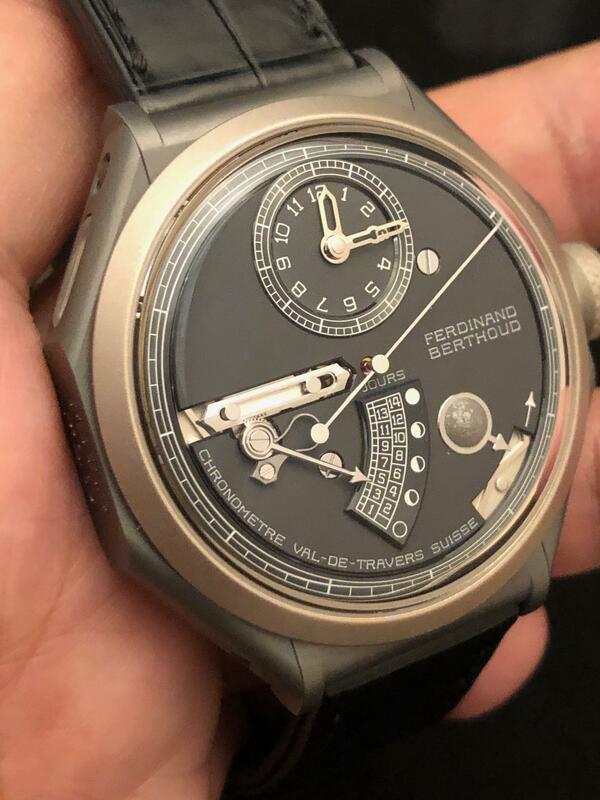 F. Berthoud has always been a favorite of ours. And this Basel, they introduce a new caliber. Equipped with an age of the moon display, the movement is based FB-1 but 30% of the caliber has been reworked to add the new functionality. The age of the moon is displayed on a sector dial at 6 and a separate indicator shows the waxing and waning phase at 4. 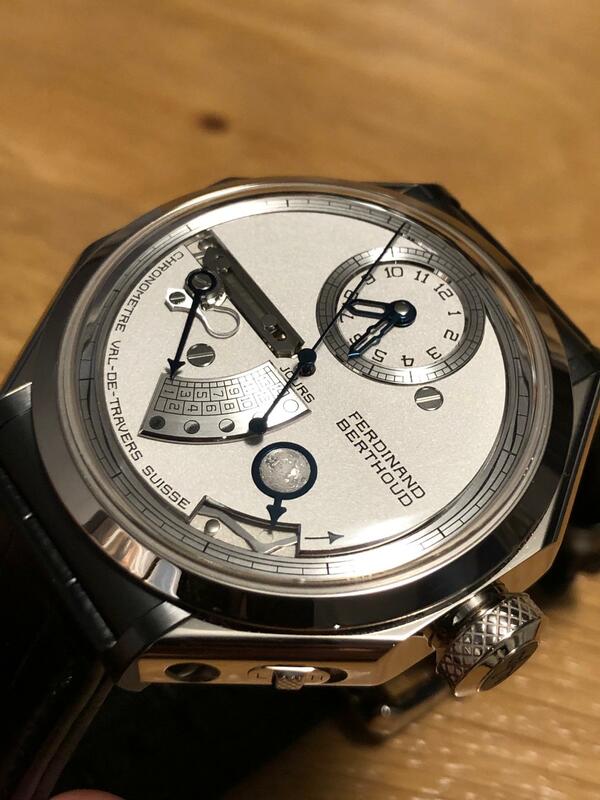 Two versions are available: one in white gold with ceramic lugs FB1L.1 showing a 3D moon engraved with the surface of the near side of the moon. 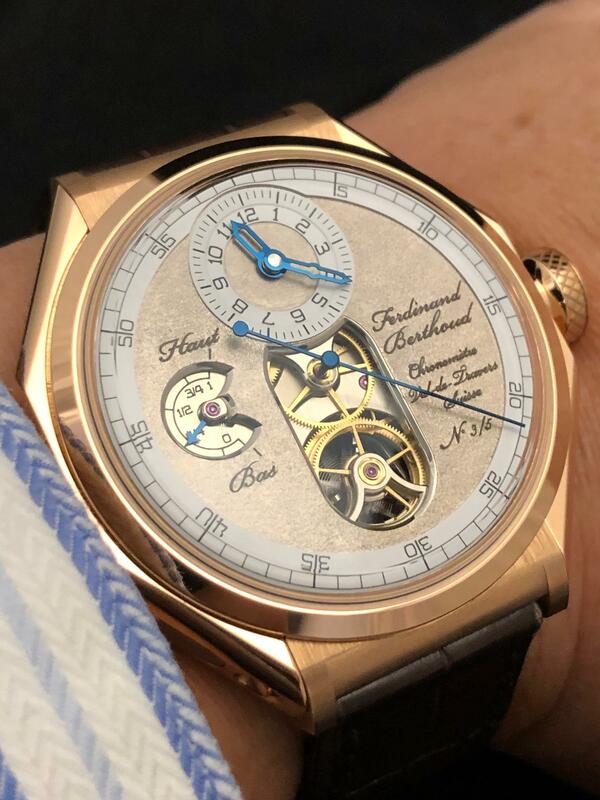 Limited to 10 pieces at CHF 265,000 with Swiss tax. And another version in ceramized titanium and sand blasted matte white gold bezel, back and crown. This version features the moon engraved with the image of the far side of the moon. Also limited to 10 pieces. Priced at CHF 250,000 with Swiss tax. In SIHH, the Oeuvre d’Or was introduced with a WG case with YG dial and sapphire set and a RG case with WG dial. And now we have the same watch with a red gold case and white gold dial. Also LE 5 pcs. CHF263,500 with Swiss VAT.